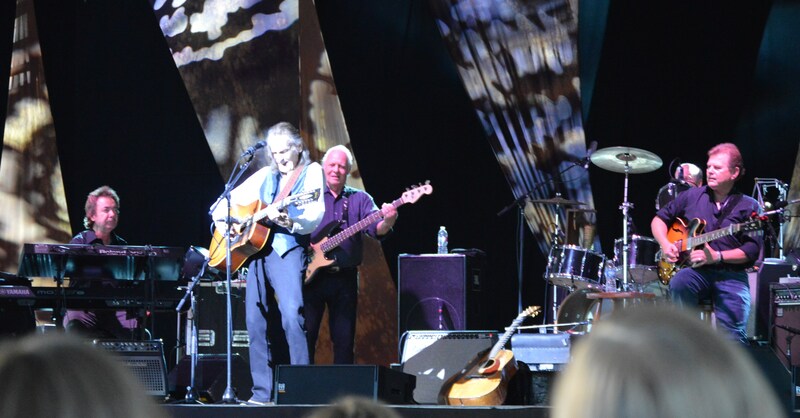 Pier Six Pavilion was filled with the graceful melodies of decades this past Wednesday, as Canadian folk-rock legend Gordon Lightfoot took the stage as a part of his 50 Years on the Carefree Highway Tour. Lightfoot admitted it had been 15 years since he had last played in Baltimore, making certain to mark his return with a crowd-pleasing performance. Since his last Baltimore appearance, Lightfoot was inducted into the Song Writer’s Hall of Fame, in June of 2012. Lightfoot, 76, appeared to be in good spirits—if not good health—despite cancelling a show two days prior due to illness, which Lightfoot described as “walking pneumonia” early into Wednesday’s first set. Lightfoot’s performance drew a crowd made up mostly of dedicated pension-chasers, speckled with the occasional millennial. He opened the night with The Watchman’s Gone, a classic from his 1974 hit album, Sundown. Other tunes featured from his No. 1 album included Carefree Highway and Sundown. Throughout the night, a contemplative Lightfoot would end one of his songs and talk to the audience about memories or the procedures of show business. After finishing a performance of Carefree Highway, Gordon told the audience that if it seemed shorter than usual, it is because it was; going on to explain how all the songs had to be cut short to fit them all into the concert’s two-hour, two-set time frame. He spoke with a soft grandfather-like demeanor, sometimes trailing off into his thoughts before shrugging them off and continuing his performance. Lightfoot’s concluding set featured his most famous single, The Wreck of the Edmund Fitzgerald, which was played to raucous cheers from the crowd. Midway through the song, Lightfoot caught himself repeating a verse, paused, and with a lighthearted laugh took the verse back from the top, finishing the iconic folk-ballad with an extended standing ovation from the audience. Fans also lauded Lightfoot with standing applause after his performance of his heartache song If You Could Read My Mind. 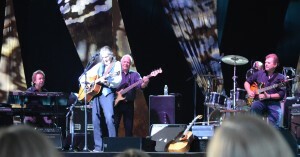 Lightfoot played 26 songs during his performance. By the end of the night, Lightfoot showed his loyal Baltimore fans that even after 50 Years on the Carefree Highway, the spirit of the folk rock revival still resonates in his soul. could have played a much better set list.Gordon has one of the best catalogs of all-time.